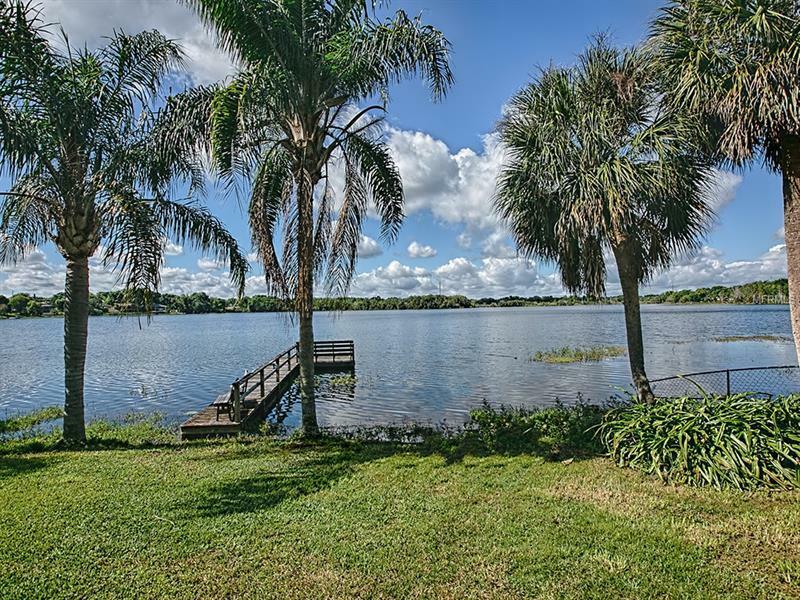 NESTLED AT THE END OF A QUIET CUL-DE-SAC COME FIND YOUR OWN PRIVATE OASIS TO VIEW BOTH SPECTACULAR SUNRISES AND SUNSETS OVERLOOKING PRIVATE LAKE WOODWARD! Completely updated Custom Lakefront home built well ahead of its time! Inground pool and spa, large deck with a complete newly screened enclosure! Private dock and beach to park your boat- enjoy fishing and watersports right from your backyard. Updates include brand new GRANITE countertops, new CABINETS, NEW ROOF IN 2014, completely RE-Plumbed in 2017, NEW TANKLESS HOT WATER HEATER, New flooring throughout, Freshly repainted interior and exterior. 3 Bed / 2 bath split floor plan, high ceilings throughout home, Large master suite which features tray ceilings, a wet bar, separate sitting/office area, master bathroom with dual sinks, jacuzzi tub and walk in closet! Inside laundry room with built in cabinets and granite counter. Living room features gas and wood-burning fireplace! Seller credit for a new A/C system to be installed. Don't miss out on this gem, won't last long! Includes a 1/27th deeded share in ownership to a private boat ramp.